How much is Art Carney Worth? Art Carney net worth: Art Carney was an American actor who had a net worth equal to $16 million at the time of his death (after adjusting for inflation). 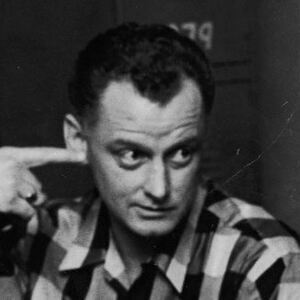 Art Carney was born in Mount Vernon, New York in November 1918 and passed away in November 2003. He starred on stage as well as in films and on television and the radio. He was best known for starring as Ed Norton on the television series The Honeymooners from 1955 to 1956. Carney also starred as Ed Norton on the TV series The Jackie Gleason Show from 1952 to 1957 and again from 1966 to 1970. He starred in many films including Harry and Tonto in 1974 for which he won an Academy Award for Best Actor and a Golden Globe Award for Best Actor – Motion Picture Musical or Comedy. Carney won a National Society of Film Critics Award for Best Actor for The Late Show in 1977. He won a Pasinetti Award for Best Actor for Going in Style in 1979 and was nominated for a Primetime Emmy Award for Outstanding Lead Actor in a Miniseries or a Movie in 1990 for Where Pigeons Go to Die as Da. Carney received a star on the Hollywood Walk of Fame at 6627 Hollywood Blvd. He also served in the United States Army. Art Carney passed away on November 9, 2003 at 85 years old.